How can four cost less than one? 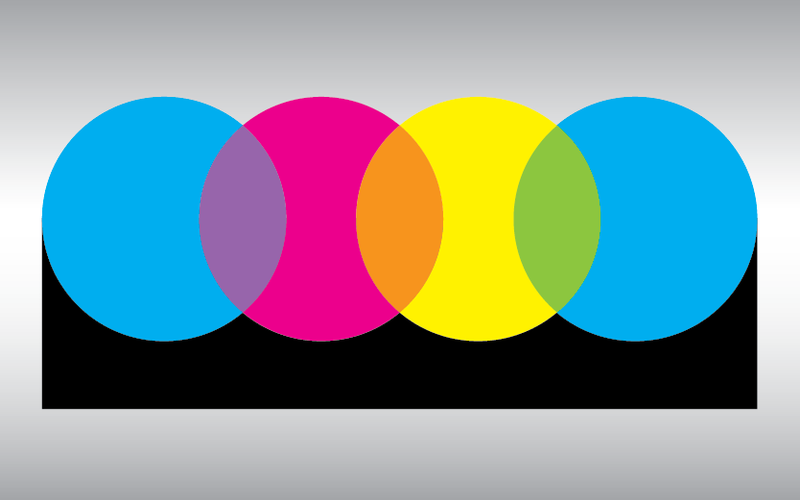 Four-color printing was once considered expensive and high-end. Now a single matched color costs more than four-color process. How has this happened? The graphic arts industry was one of the first to embrace the digitization of its workflow. Full color (4-color process) printing has become a commodity bought and sold online like so many other products. This can be huge marketing advantage when used effectively for communicating your products or services. All imagery used on-line is shown in color, customers expect full color. Twenty years ago, 5000, Sell Sheets, 8.5” x 11”, 4 colors, one side would have cost between $900 and $1,100. Today that same flyer would cost under $300 to print. The entire proofing process has evolved from photographic film and color proofs to online review and approval. No more metal plates exposed to UV light and manually hung on the press, make-ready is much faster. The digitization of the graphic workflow allows printers to run 4 color process all day with minimal interruption between jobs. Conversely, specifying a single, matched color can cost more than using the 4-color process ink already loaded in the press. On the other hand, “owning” a specific color for your communications has value as it effects brand recognition and loyalty. Design and message is more important than ever. Now that color is affordable, the emphasis comes back to content. Whatever the product or service may be, cutting through the clutter is essential in differentiating you from your competition. What are you trying to say? Is it original and meaningful or so generic that it could be mistaken for one of your competitors? Great design is founded on a core brand story based in truth, performance and promise.